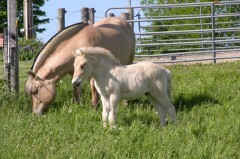 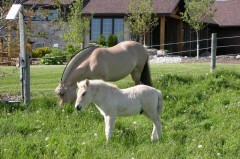 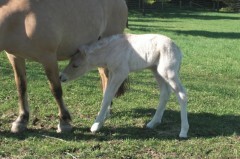 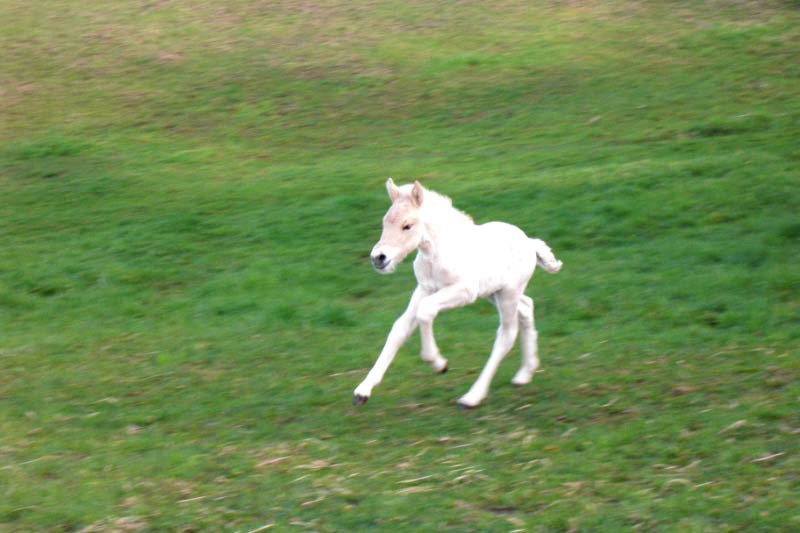 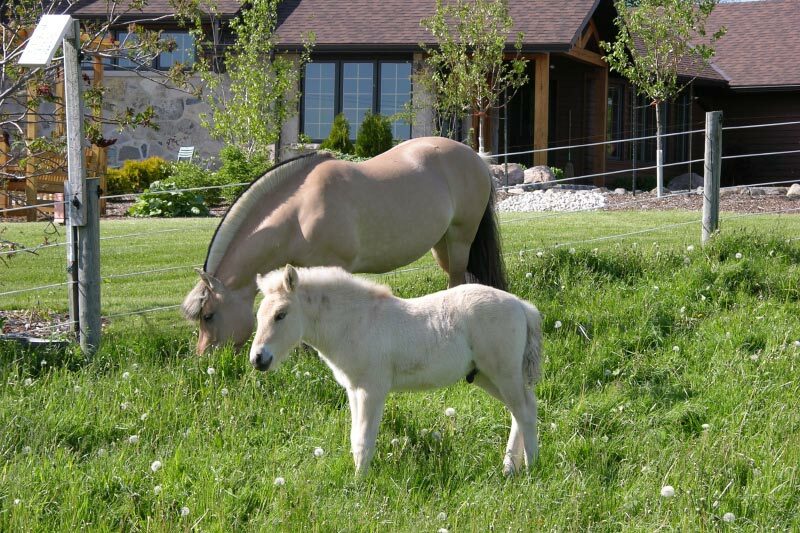 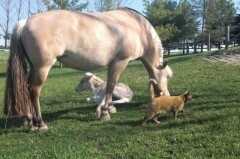 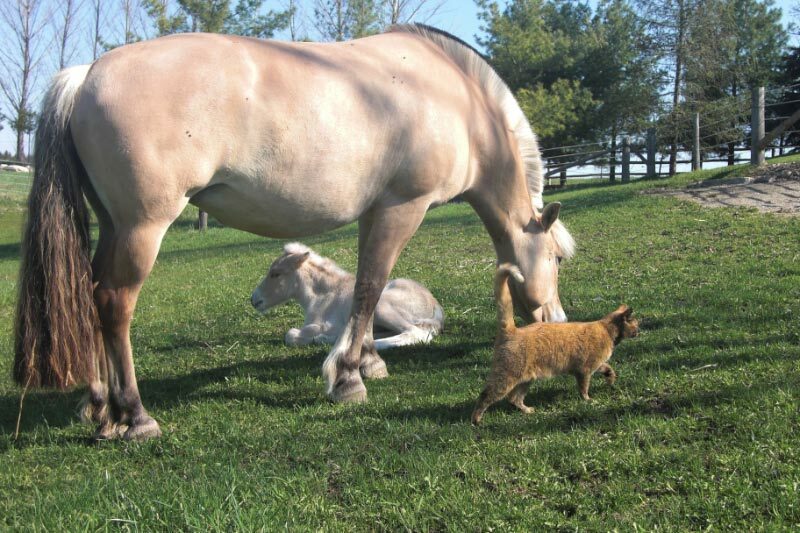 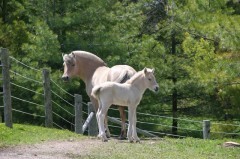 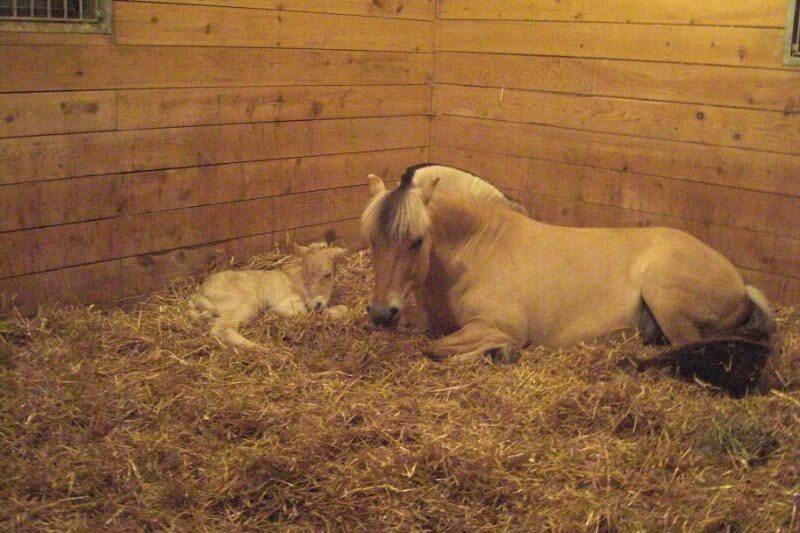 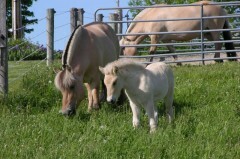 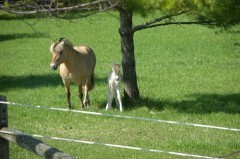 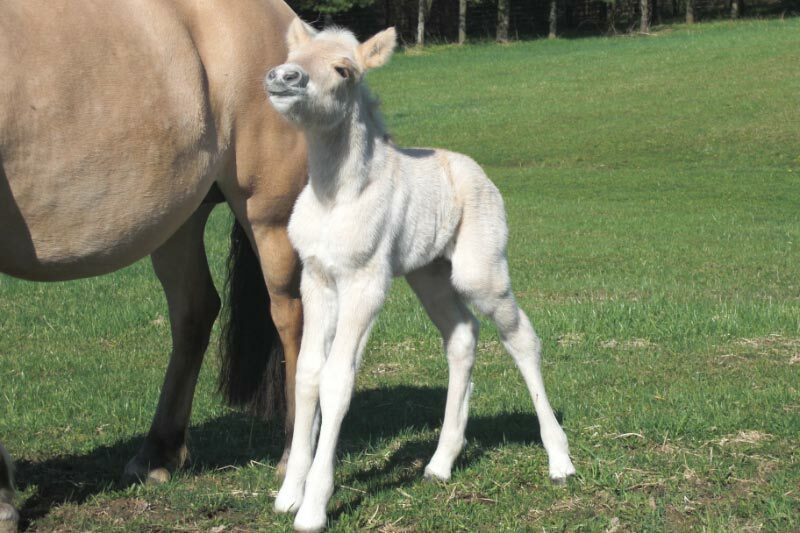 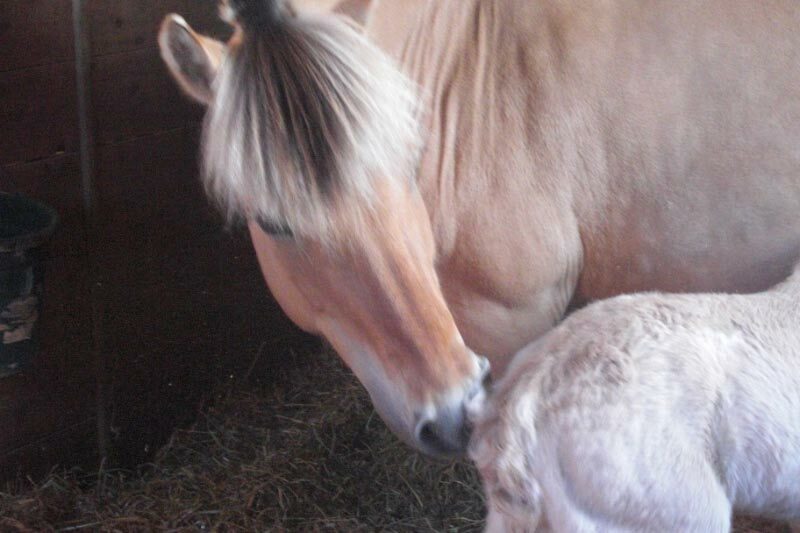 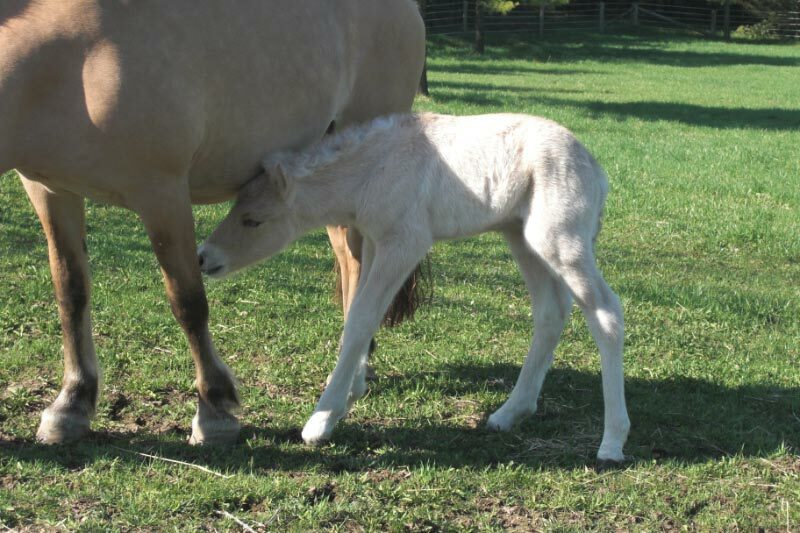 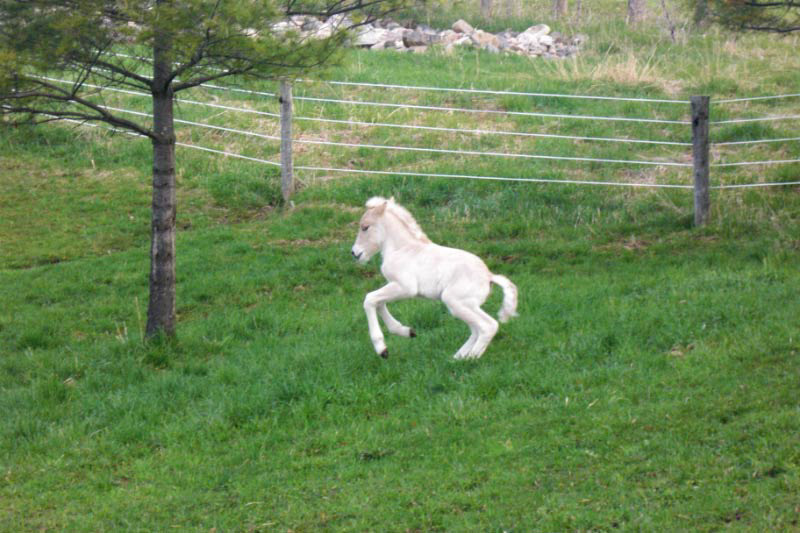 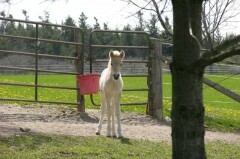 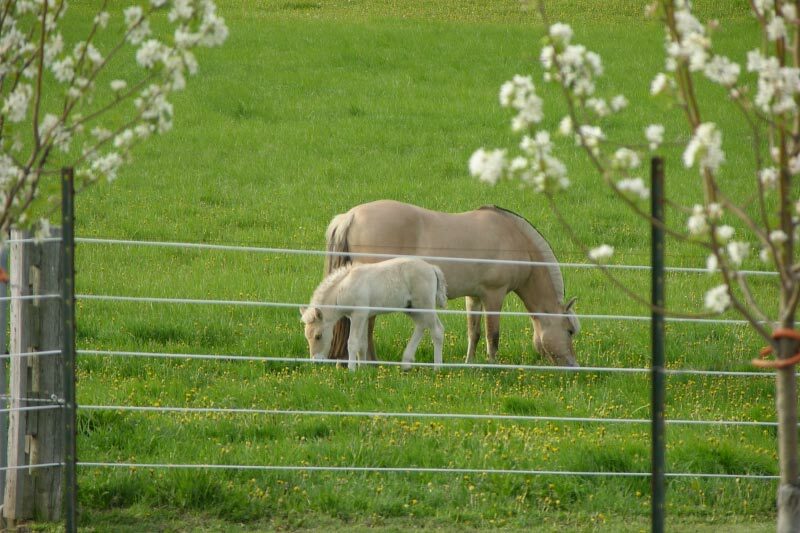 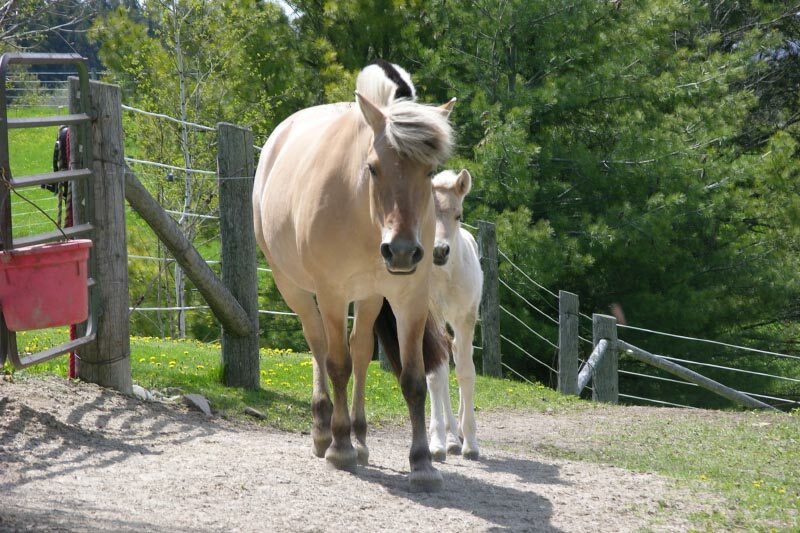 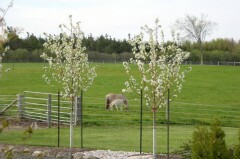 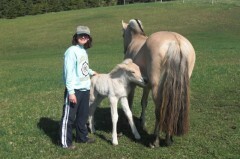 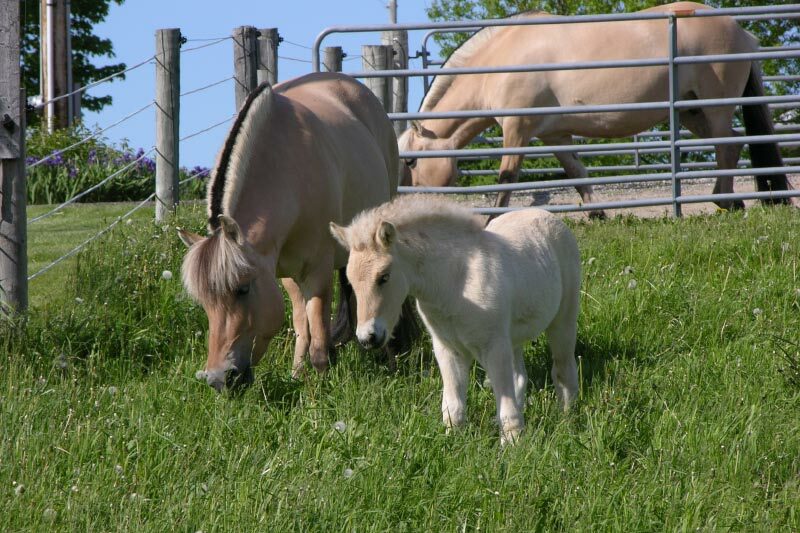 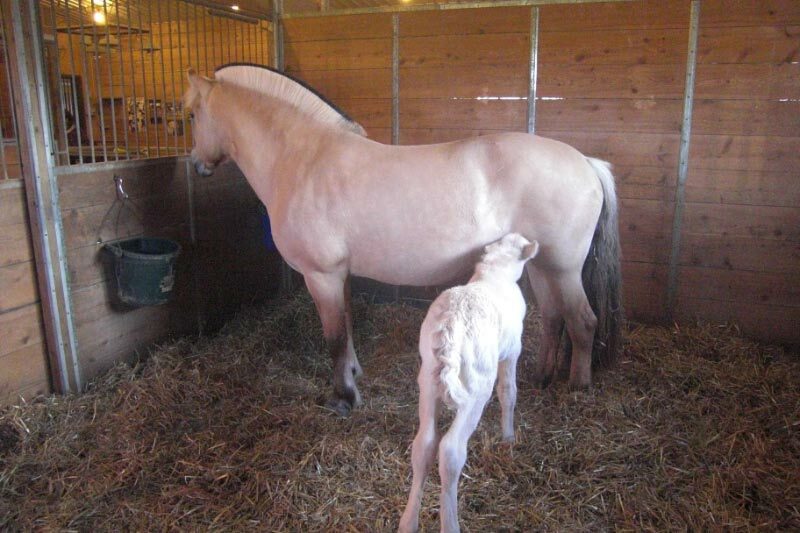 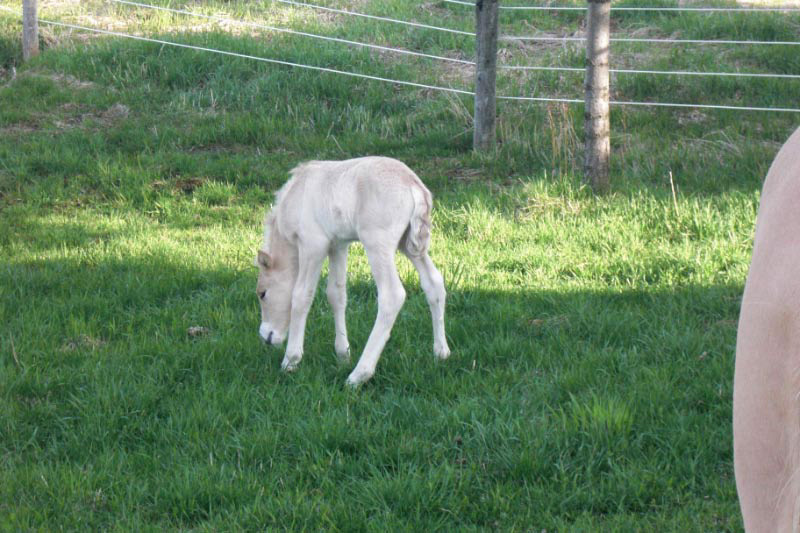 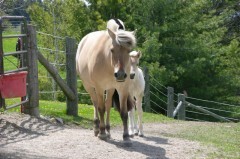 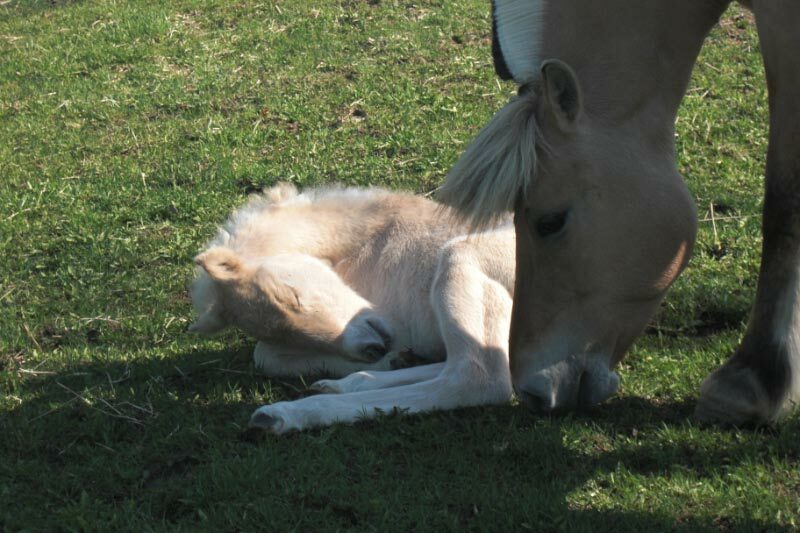 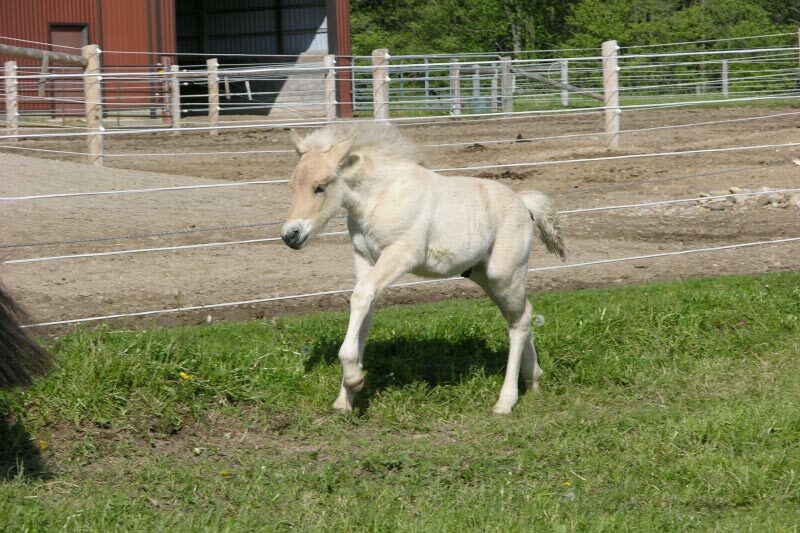 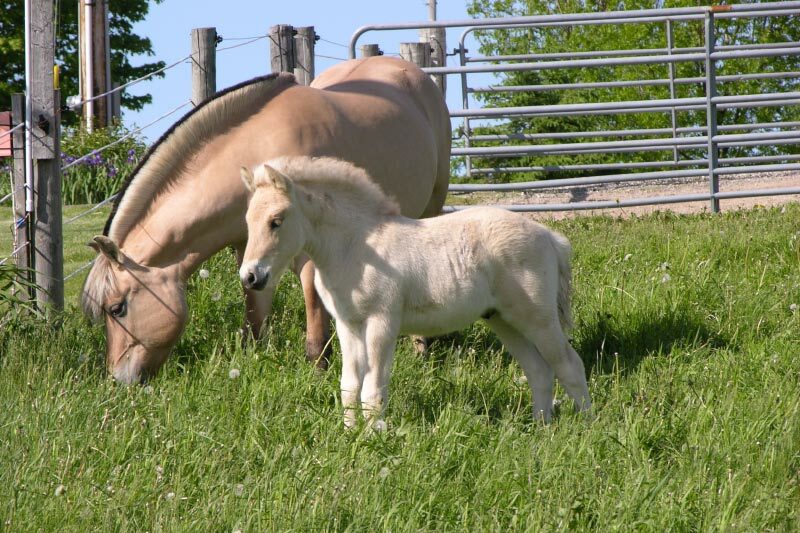 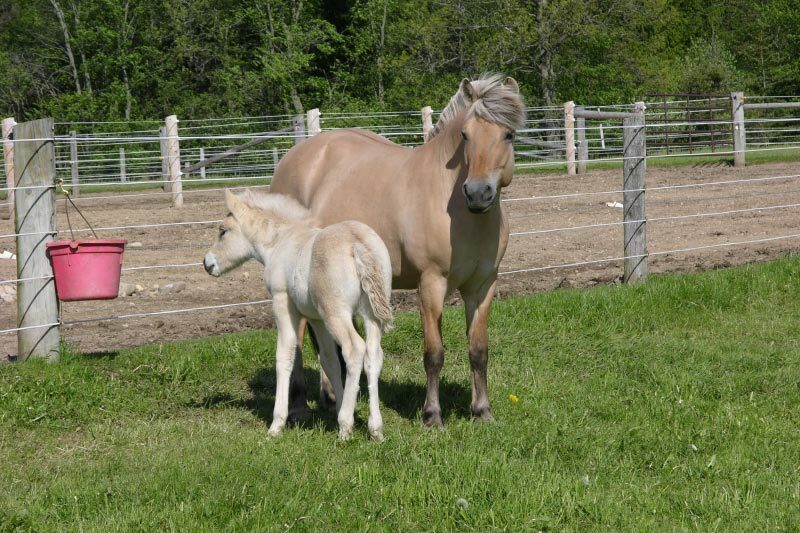 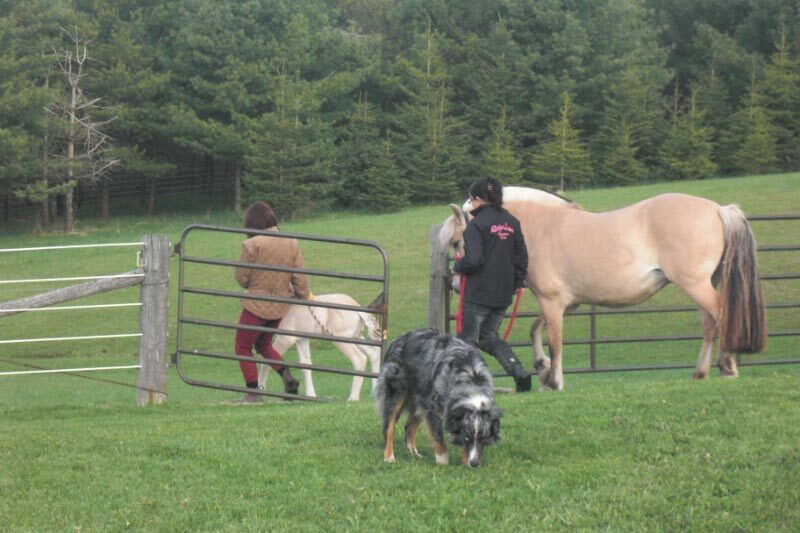 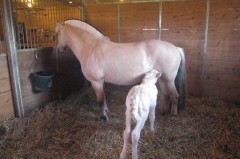 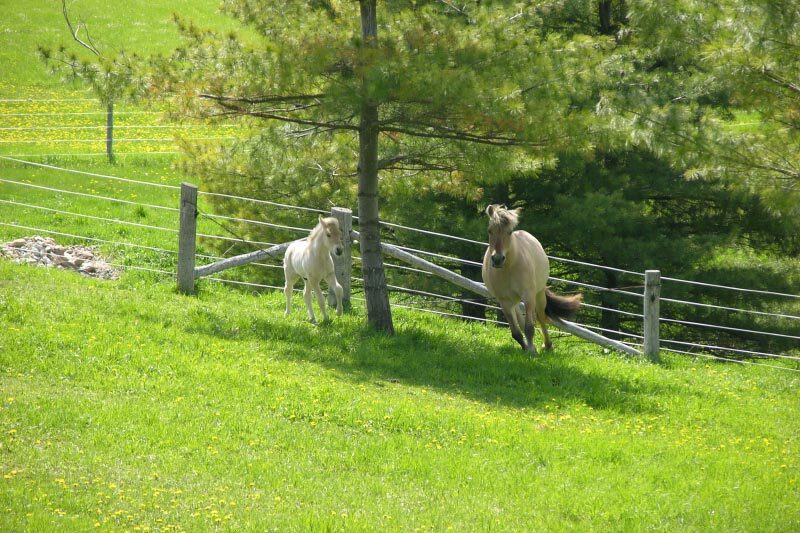 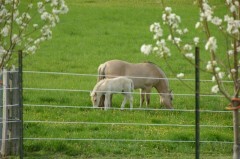 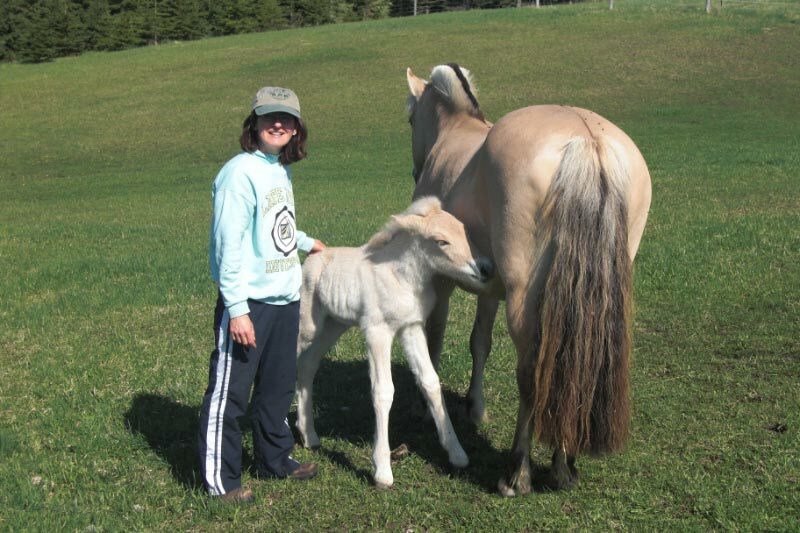 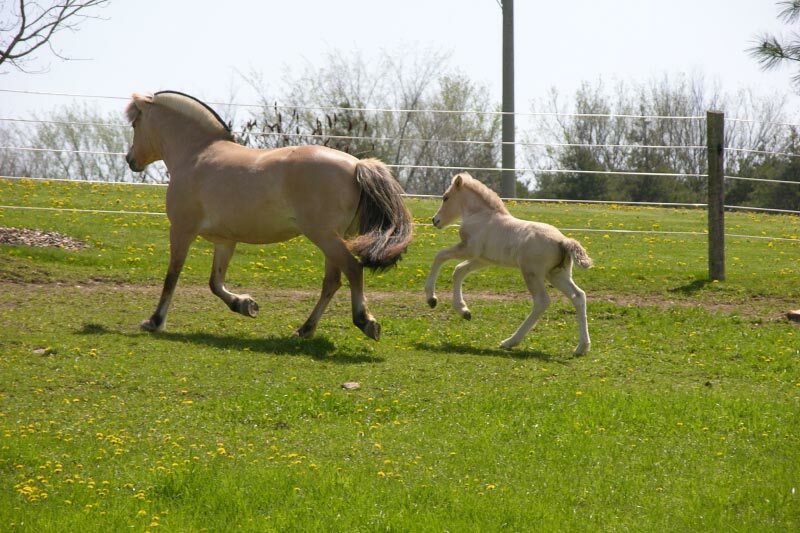 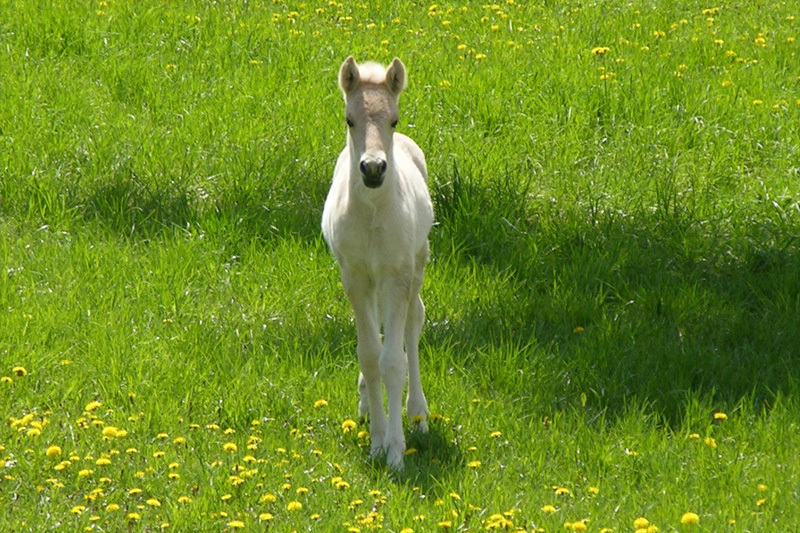 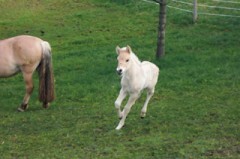 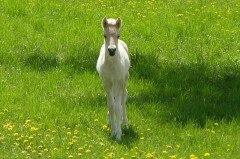 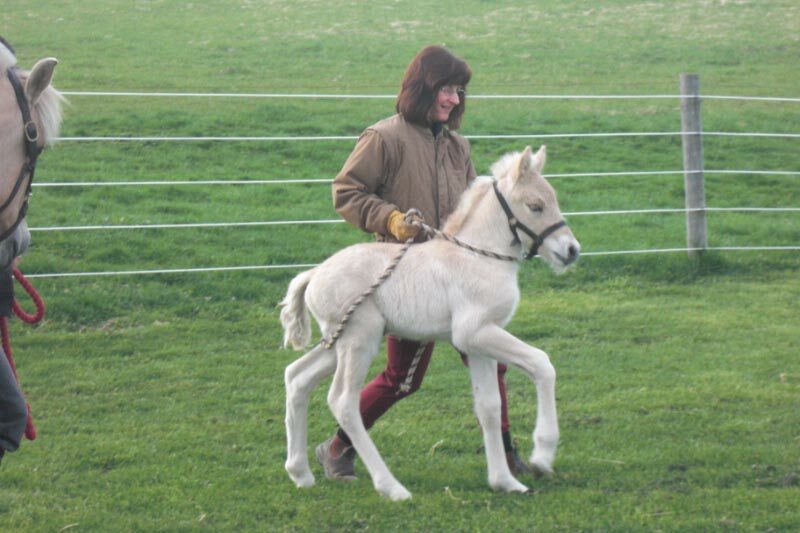 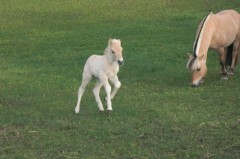 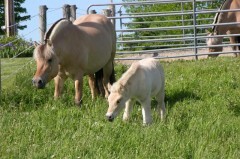 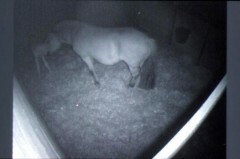 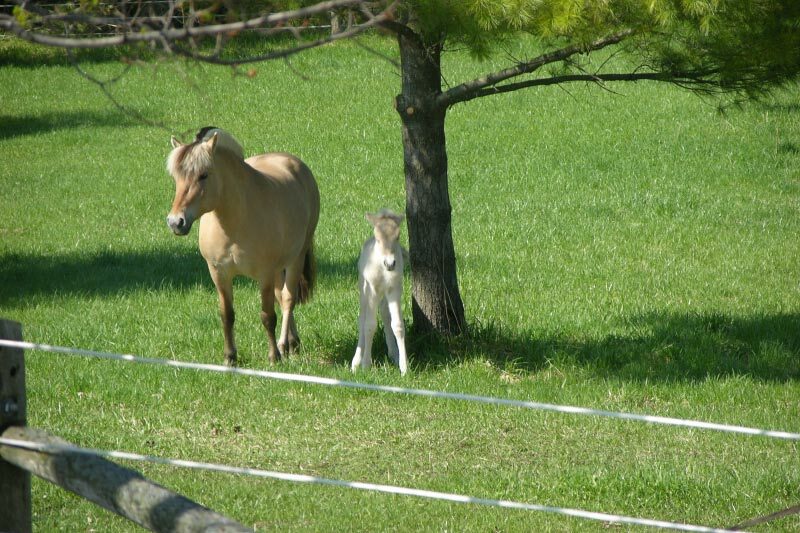 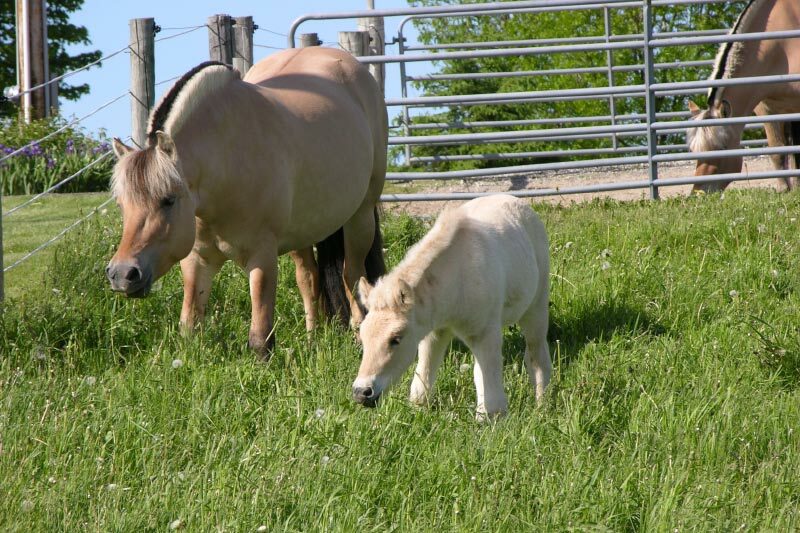 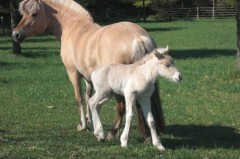 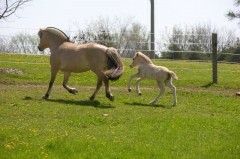 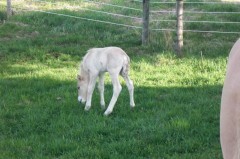 Fjelljo is a colt, born on May 2, 2009 at 11:25 pm. 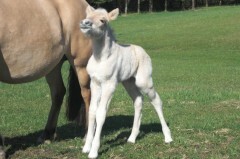 His sire is Mogly (Ster, Prestatie) and his dam is our own Bluebird Lane Kestrel [Felix X Roza/Fjelljon (Elite)]. 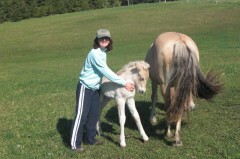 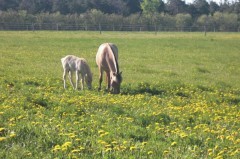 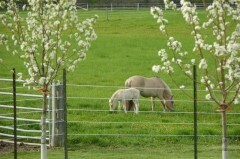 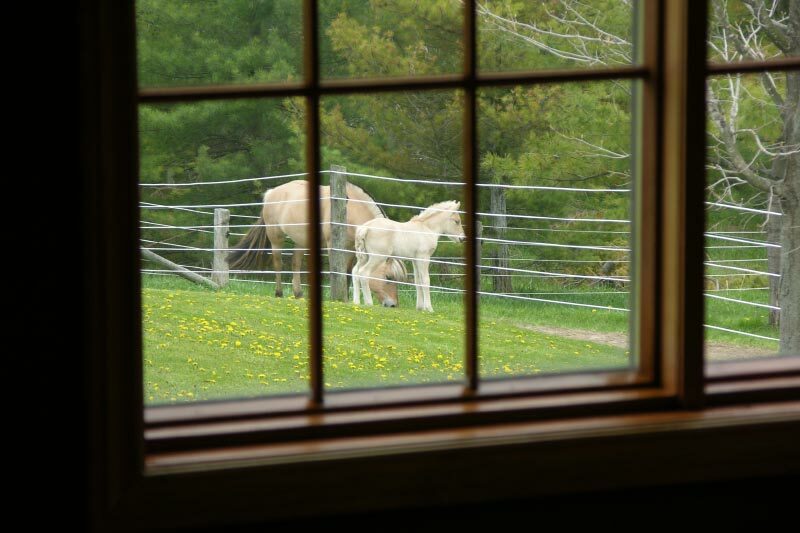 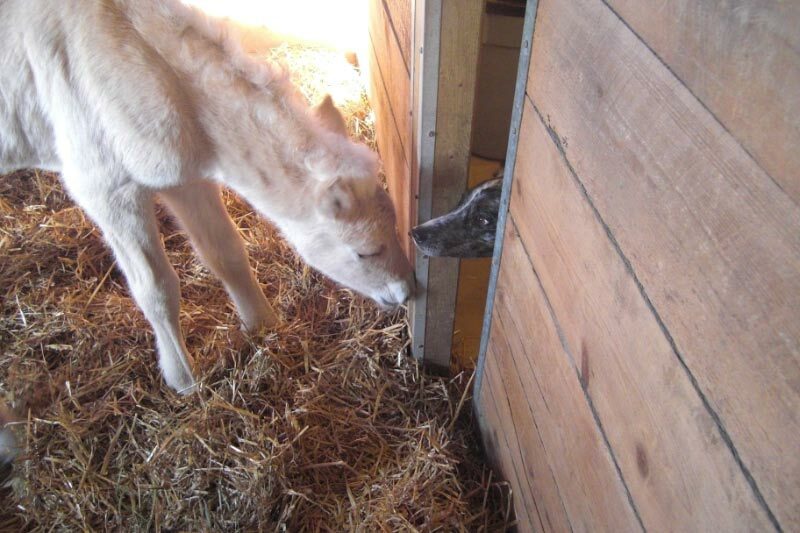 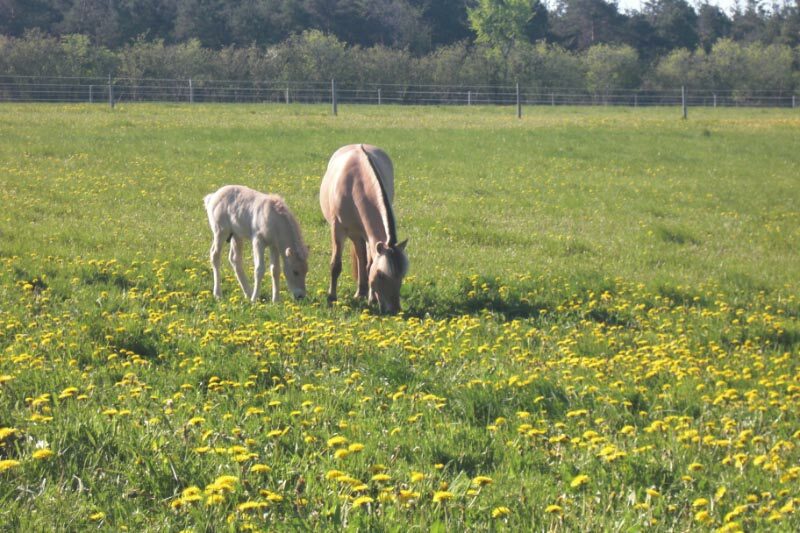 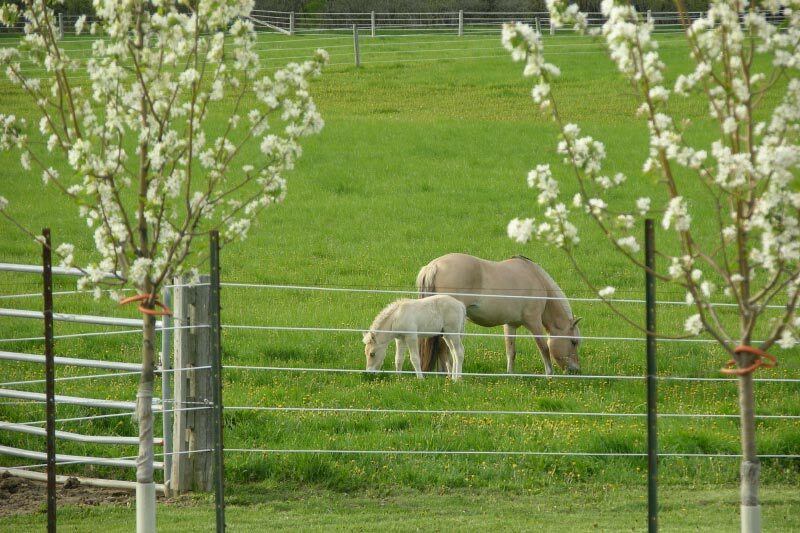 This is our first “grand-foal” who was born on the farm, so it’s pretty exciting. 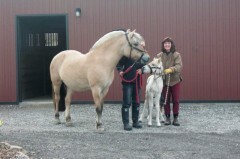 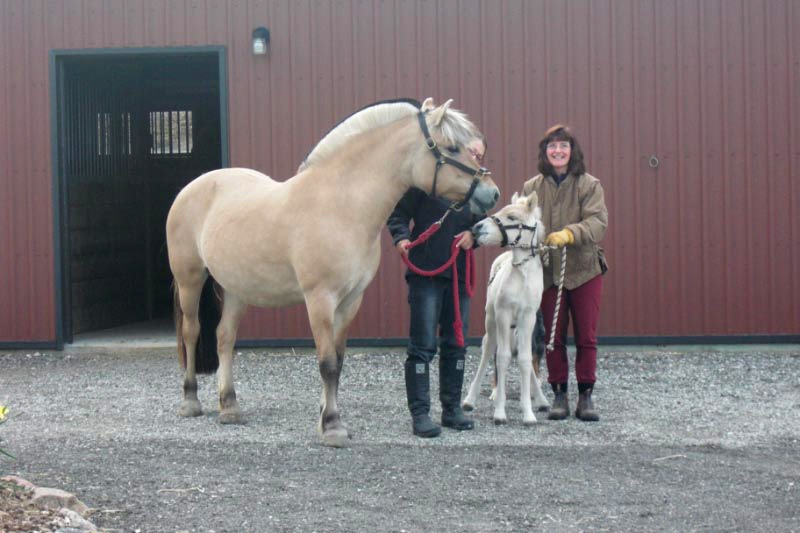 The name Fjelljo is a Norwegian bird name, as well as a nod to Kestrel’s dam sire, the Elite stallion Fjelljon. We pronounce his name: Fee-Yell-Yo. 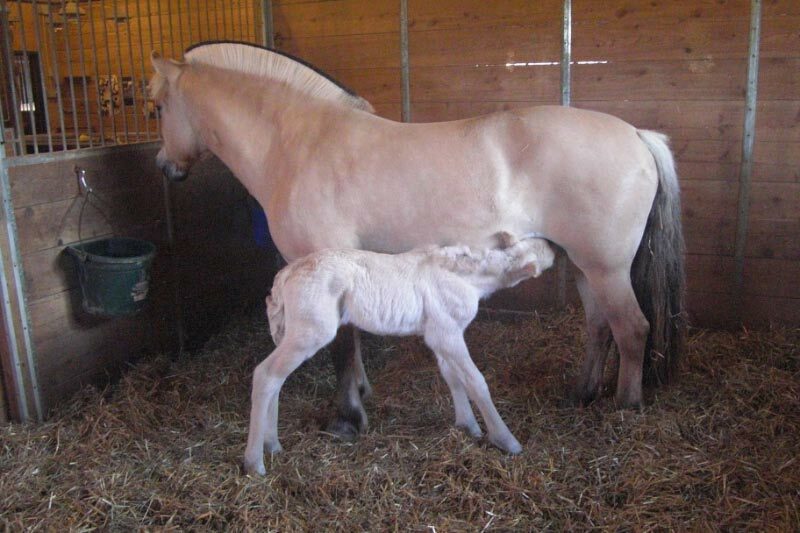 We are very happy and grateful to have this gorgeous healthy colt from our wonderful mare Kestrel. 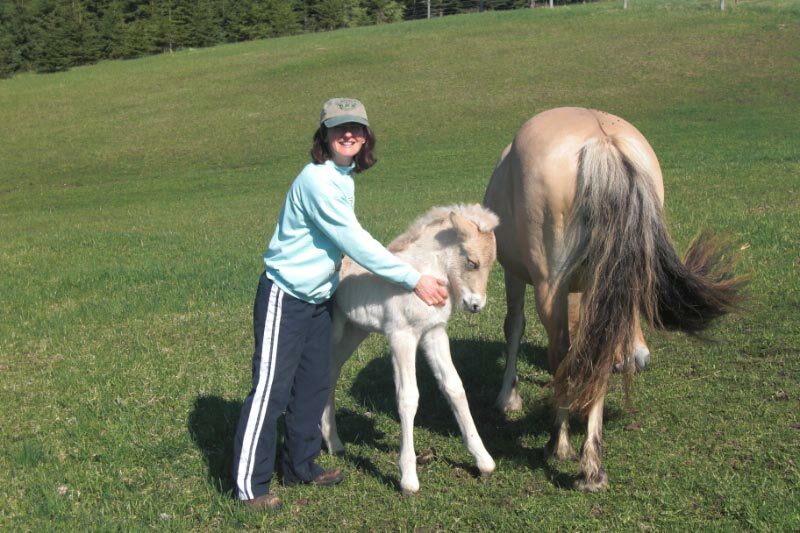 Kestrel has been Lori’s riding partner for four years before going on maternity leave, and she has a number of impressive accomplishments on her resume. 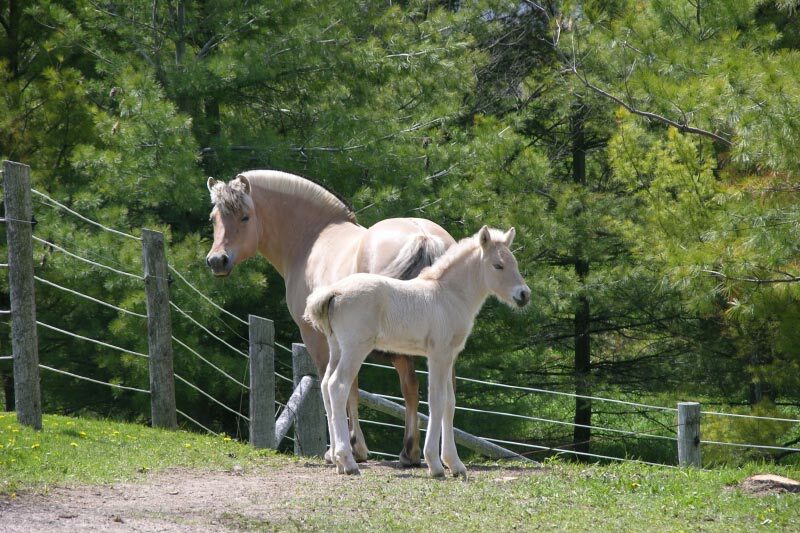 These include earning the Dressage Canada Bronze Medal Achievement Award for high scores in National Dressage Competitions, as well as being Champion at Palgrave at Training Level in her first show ever. 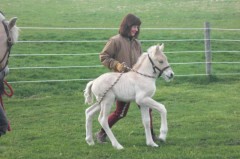 Kestrel was also the Grand Champion Mare at the NFHR 25th Anniversary Show in Winona MN in 2006!